Expand search to view more listings in and around Ann Arbor. See more offices in and around Ann Arbor. To help you find the best location for your next Ann Arbor office space, this site allows you to browse through all the office spaces for rent in Ann Arbor, MI and get the vital information about each of them quickly and easily. We have an extensive range of business centers, office buildings and professional office spaces available, most with flexible rental terms that can be adjusted to your business' needs. The Ann Arbor office market consists of nearly 7 million square feet, half of which is Class A office space. Key characteristics include high activity levels and the predominance of inquiries for small office units. The market is mostly favorable to landlords since rents have been steadily increasing and concessions are becoming harder to come by. Downtown Ann Arbor vacancy rates are below 4 percent, pointing at an extremely tight market, and in suburban sub-markets they average 13 percent. Office rental rates are among the highest in South Michigan at approximately $25 / sq ft / year, and they can reach values of $35 / sq ft / year in downtown Ann Arbor. Rents are expected to keep rising until new developments ease the current conditions (2017 data). Since demand from tech and creative sectors is the strongest driver of Ann Arbor's office market, developers have been focusing on creating high-end tech space to accommodate the growing number of start-ups in search of creative office space and incubators. Demand for flexible office space, private offices, coworking space and shared office space for lease is also growing fast, since many tech and creative start-ups are faced with standard five-year leases that do not match their business model or projected growth rates. Office occupiers are also faced with strict office complex codes that preclude development work in historic buildings, although renovations are helping keep a balanced supply-demand ratio for the time being. Corporates and office occupiers looking for large suites may struggle to find suitable flex spaces for rent, although their prospects are likely to change in the medium term, as new developments in the Pittsfield area are expected to receive approval. Our office suites, executive suites, private offices, shared office space options and coworking spaces available for rent provide an ideal solution to working in Ann Arbor, and in many cases also offer the option of adding or reducing the amount of office space rented at short notice. This type of flexibility can be ideal for start-ups and companies that are expected to grow fast, as well as for those that are downsizing. 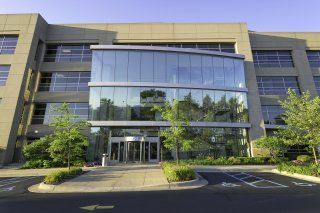 A number of the office buildings offer private and shared office space for rent in Ann Arbor MI that is fully furnished and equipped, making setting up a very fast process. Much of the office space for lease can also be configured to meet the specific needs of your business. Many office providers will tailor the professional office space for you and allow you to decorate to give you more control over your team culture and brand image. We would love to help you find your ideal new work environment. Simply choose any of the Ann Arbor commercial real estate listings displayed above. All of the executive suites, coworking space, private and shared spaces for lease listed on this site are in ideal business locations, and are available for rent on flexible terms. Our database also has holds a broad selection of flex space in other prime Michigan locations, available on terms to suit your needs. Get in touch today, and we will do everything we can to help you find your perfect professional office space in Ann Arbor, MI. Ann Arbor is a city in Michigan, which historically served as an important transportation hub. Over the last few decades the local economy has changed significantly from being reliant on manufacturing to becoming technology-orientated and has also emerged as a technology hub that has already caught the attention of several investors and real estate developers. Businesses seeking to establish new premises will find Ann Arbor to be a heavy contender. Read on to find out why. Ann Arbor is a medium-sized city with a population of 350,000. The city is 40 miles west of Detroit and has recently been rated as one of the best places to live in the United States. Education was central to the growth of Ann Arbor, as the city expanded quickly following the establishment of the University of Michigan. Linked to the University is medical research, another important industry sector and a key source of local employment. The largest employers are companies involved in education, healthcare and automotive manufacturing, and include the University of Michigan (which employs 30,000 people), Trinity Health, Ann Arbor Public Schools, General Motors, Faurecia North America, East Michigan University, Integrated Health Associates, and Ann Arbor Healthcare System. Ann Arbor has a solid labor market with annual growth rates that exceed the nation's and the state's average. The sectors leading job creation are tech-related enterprises, education, hospitality, and healthcare. The city's workforce is just under 200,000 people, most of whom are involved in professional and business services (32 percent of the total), education and health (26 percent), trade, transportation and utilities (25 percent), manufacturing and financial activities. However, there are skill shortages in IT security, software development, system engineering, data science, and high-tech sales. For two consecutive years, Ann Arbor has been designated as the most educated city in the United States, since more than 52 percent of the workforce possesses a bachelor's degree. This is a draw for business owners in search of qualified staff, and has contributed to the city's success in attracting a significant amount of venture capital and in becoming a leading destination for Michigan start-ups. Many office complexes and properties for lease offer business support services and features such as onsite parking structures, easy access, business lounge facilities, meeting rooms and much more. Click on any of the Ann Arbor MI Office Space listings for more information. Whether you require Ann Arbor commercial real estate, a medical office, professional office, commercial office, flex space, shared office space, warehouse spaces, industrial space, private offices, retail spaces, coworking space, executive suites or flexible office space available for rent in Anne Arbor, Michigan - we'd love to help you. Specializing in providing business with flexible offices for lease on great terms, we can help you find the ideal office space for rent in your preferred location, whether that be Ann Arbor office space, or an entirely different location all-together. Contact us today and we will be happy to help.